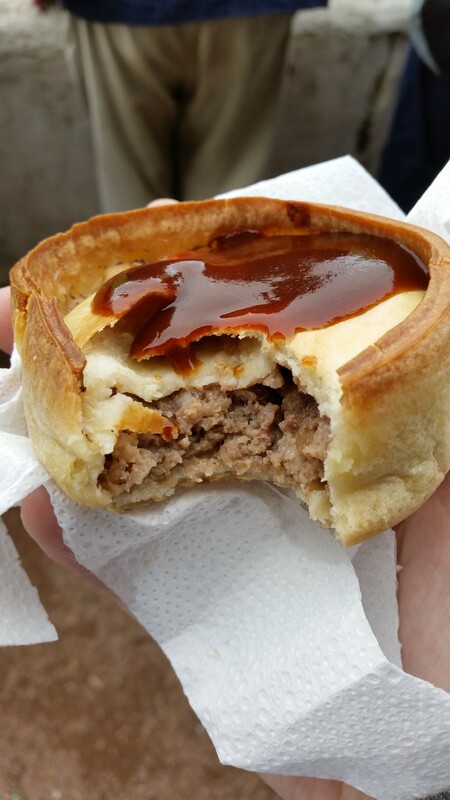 If you want to read about pies: meaty, spicy, pastry covered pies then this is the place to be, as this is Meat Filled Pastries, one man’s journey to find the tastiest football snacks in all the land. This edition sees us staying in the junior ranks with a pie from Ayrshire and Maybole Juniors but more on that in a bit. As I am sure many of you are aware I like watching football. 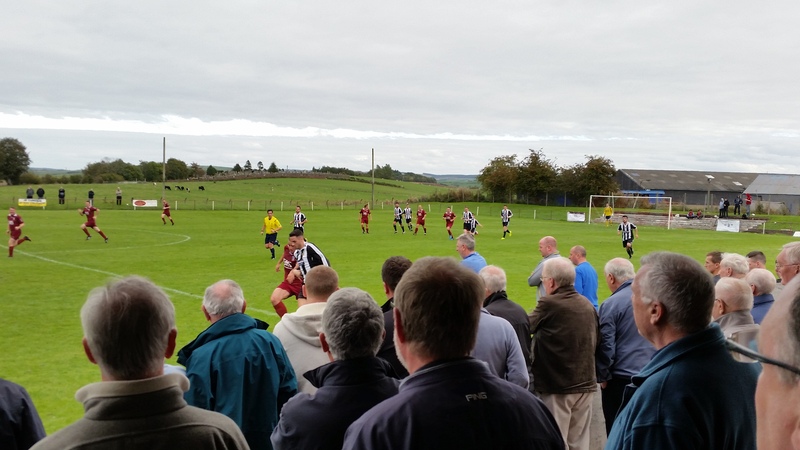 I especially like watching football when I get to go a place I’ve never been before,this trip to Maybole being a case in point. I can’t think of any other scenario why I would visit Maybole, it’s not noted for anything particularly famous, it’s not near the seaside and I have no known family currently residing in the area. Maybole, and no offence meant here, is not somewhere you would book your summer holidays to. What it does have however is a junior football team and so with gay abandon I journeyed on down. My particular highlight was the pub that was chosen for pre match refreshments by the bus committee. It’s fairly common place for our band of merry men to be found in some particularly odd wee pubs and this one was no exception. Named ‘The High Society’ on entry things looked fairly generic ‘old man’ that was however until you glanced at the fifties style motif in the window. As you entered the walls were adorned with pictures of crooners from yesteryear while the toilets seemed to be something more resembling a sauna than a urinal. Throw in a random games room, jingly door chimes and the obligatory one lady behind the bar suddenly finding her Saturday afternoon a lot busier than usual and you had all the ingredients for your traditional pre-match small town bar. I love these a little bit. Anyway with my throat suitably lubricated it was game time and as such without much further ado, let’s rate some pie! Cattle, Cemetery, Fields. Standard Junior Football Back Drop. Price: £1. A drop in division has certainly resulted in a drop in price. Let’s hope this isn’t a drop in tasty quality. Presentation: A variation on the classic white medium-sized napkin. The far more cost efficient, but no less effective, one sheet of two ply kitchen roll. Actually a little bit bigger than a medium-sized napkin with the added gripy-ness of dimples. No pattern on the roll though, always slightly disappointing. Where’s my random fruit or cuddly penguins? Meatiness: Confession time here folks, I had drunk a few beers the night before and so to ward off any potential hangover I had started my alcohol consumption a bit earlier than usual. It’s not big or clever but it is the facts so this pie review will benefit, or be hindered dependent on your point of view, by the notes made after consumption was complete. What I can tell you is this, the pie was moist without being greasy. It was tasty enough with a distinct meaty flavour and it was of a sufficient standard to warrant a second one soon after but it wasn’t outstanding. This can be attributed to the lack of any real peppery kick and so the addition of HP helped to enhance the overall flavour experience. I certainly wouldn’t begrudge spending another £1 should I ever venture to the Ladywell again so in that respect you can say meat wise this pie did a good job. Pastry: The pastry fell apart quite a bit, not enough that there was a spillage of the muttony goodness inside but sufficient enough for me to partake in a spot of pie juggling. You know what I mean. That dance of switching your pie from hand to hand dependent on where the most dangly bit is based in the eternal hope that no meat shall hit the terrace below. The walls were caving in a little bit but I’m willing to put that down to a grip that was too firm more than anything else. As a receptacle for meat this pastry did its job. Overall: After a few pints this filled the pie shaped hole in my belly not once, but twice. Gravy Factor: Safe Gravy. The kind of gravy you would make for a dinner party when you’re not really sure what everyone likes. Pie 76 is gone. Pretty short and sweet on this occasion. 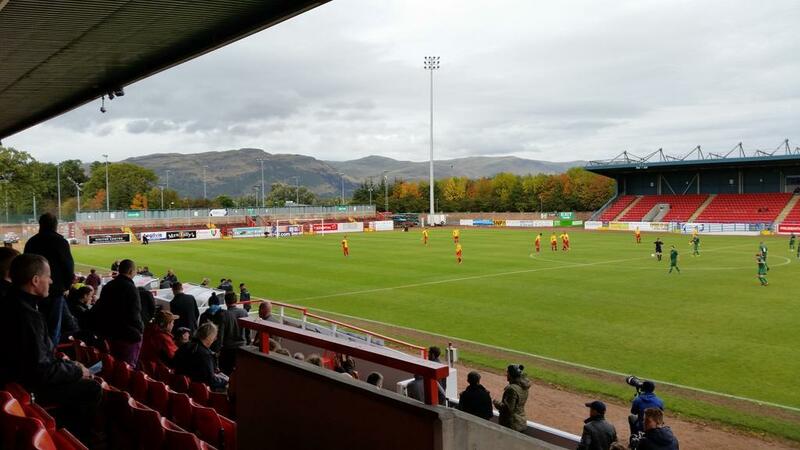 However do not fear as Pie 77 is on the horizon with Meat Filled Pastries first visit to the Scottish Lowland League and Forthbank Stadium home of Stirling University. The review will be done before I set off to Poland where I have high hopes that the eastern European love for meat and carbs will give me a pie based treat to behold. However until, next time go forth and eat pie! 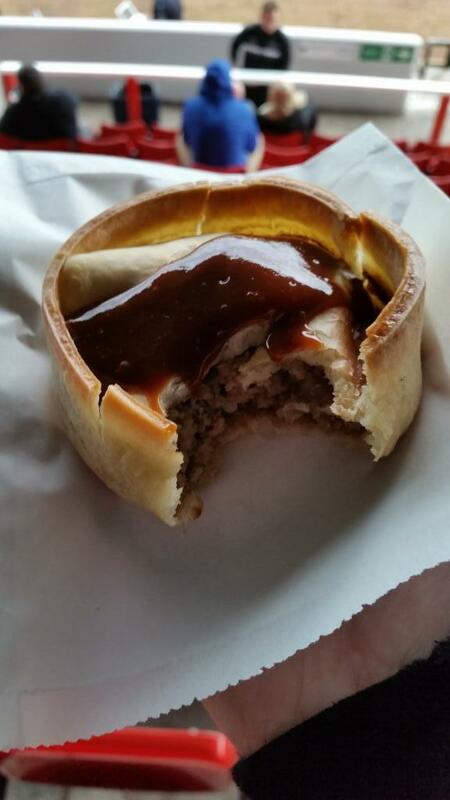 This entry was posted in Football Pies, Junior Pies, The Life of Pie and tagged albion rovers, brown sauce, fitbaw, Football, Gravy, hp, Juniors, maybole, Meat, pastry, Pie, pollok, rat pack, scottish football, stirling university.